Our partner Alexandra Lloyd Properties proposes the rental of a brand new 5 bedrooms villa in Corsica, above the Porto-Vecchio beaches. 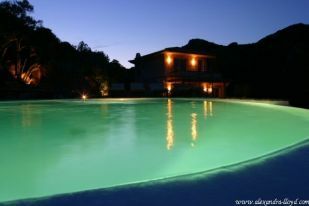 Listed among a selection of luxury villas to rent in Corsica located between Porto-Vecchio, and Calvi. 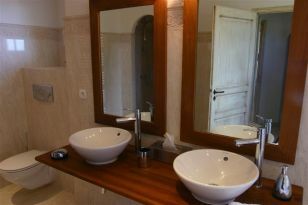 This wonderful villa available for rent for all periods of the year. 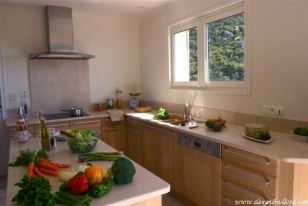 Newly built in 2004 on a private 16000m² plot of land. Stunningly decorated with excellent quality materials and furniture. 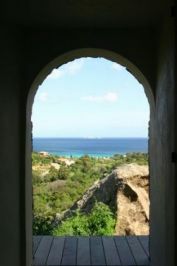 Peace, comfort, all created by natural local stone and overlooking the sea, offering an exceptional stay in a dream villa. 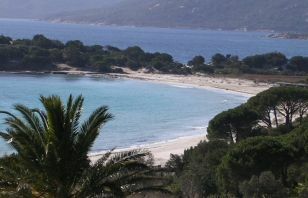 Breathtaking views over the pure white beaches of Palombaggia. 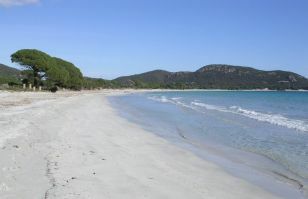 Only 500m from sandy beaches. 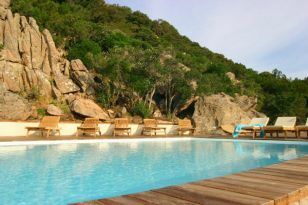 Situated just facing the sea and small islands, the villa offers the height of luxury in a private and quiet area. Open living room, American kitchen, stunning dining room all of which lead out to the wooden terraces. 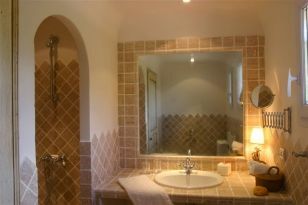 The are 5 bedrooms, all with their private bathroom and decorated to an individual theme. Overflow swimming pool, outside kitchen with BBQ, garden sitting area. Gardener and pool maintenance. Television and telephone. 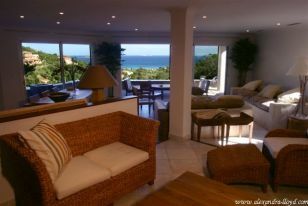 ENTRANCE LEVEL : The villa offers open, relaxing areas: consisting of a large living room with a comfortable sitting areas and stunning fireplace opening out onto the terraces enjoying stunning sea views. 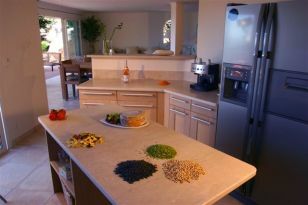 Fully equipped kitchen with an American fridge, oven, microwave, hob, dishwasher, storage room, washing machine and drier. One bedroom with a double bed (140), cupboards, en-suite bathroom with shower and toilet. FIRST FLOOR : Master bedroom leading out on a private terrace and overlooking the sea, large double bed, dressing room, en-suite bathroom with a bathtub, shower and toilet. 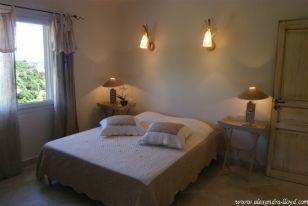 A second bedroom with a sea view, double bed (160), cupboards, en suite bathroom with shower and toilet. GARDEN LEVEL : A third bedroom with a double bed (160) (and the possibility of two single beds), small living room area, with en-suite bathroom, shower and toilet. 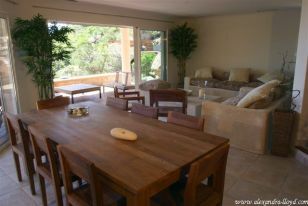 Rocks, 5 bedrooms, 5 bathrooms, terraces, living room, cellar, dressing room. 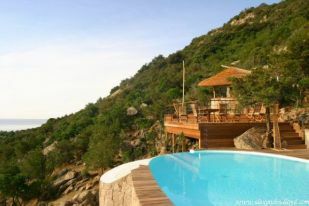 Situated between the sea and mountains, this is truly a small paradise. 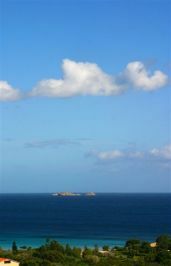 “ Corsica , the jewel of the Mediterranean ”. 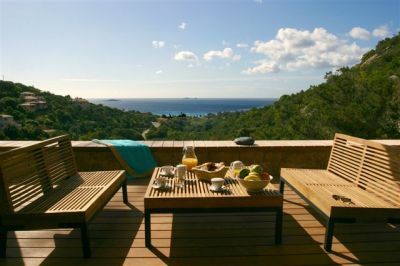 Contact: Do not hesitate to visit the Alexandra Lloyd Properties website for all rentals in Corsica and the Côte d'Azur. 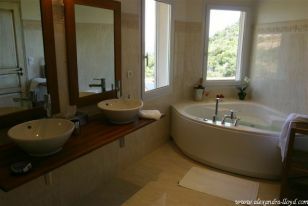 This property for rent in Porto-Vecchio is under reference AFP. Please contact Alexandra at +33 613 326 580 or email here.